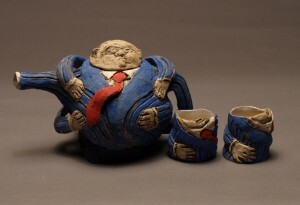 Networking Tea Set. Oxides and underglazes on stoneware. 14″ x 10″ x 8″.